Just before Christmas I received my usual subscription copy of The Knitter, and it was full of wonderful things, as always. 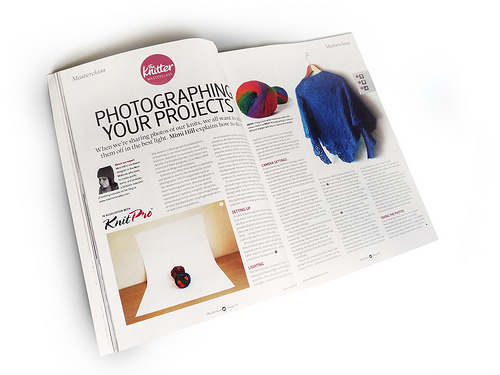 the Knitter is my favourite knitting magazine because of the level of information in the articles it runs, and my favourite of these is always the Masterclass, which describes in detail some element or technique of knitting and the skills that surround it, and this issue’s Masterclass was of special interest to me. The Masterclass in the most recent issue is an extended version of the Photography Tutorial that I wrote for this site, with a bit more detail and a few added tips and tricks. I especially like the ‘about our expert’ box-out. Not because of the content, more that it labels me an expert, whereas really I am a completely self-taught girl with a cheap point-and-shoot camera, but it makes me smile each time I read it. 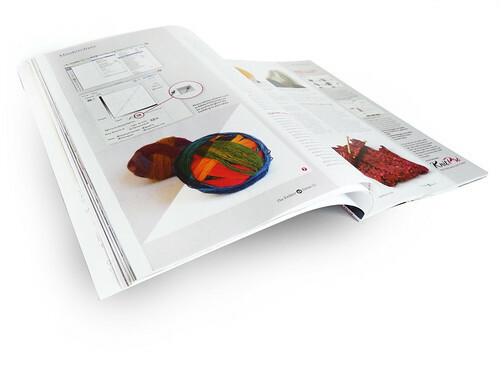 The article runs to four pages and contains a number of pictures which readers may recognise from pages on the blog, as well as one taken by staff at the Knitter, something that I especially enjoyed as it shows the techniques I use at work, by someone else. Whilst I am here, I would like to wish all readers, old and new, a happy new year, and all the best in love, life and home for 2013. 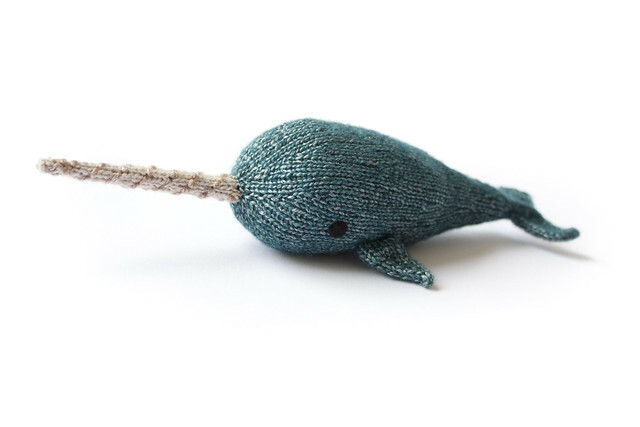 May your stitches be even and never dropped! 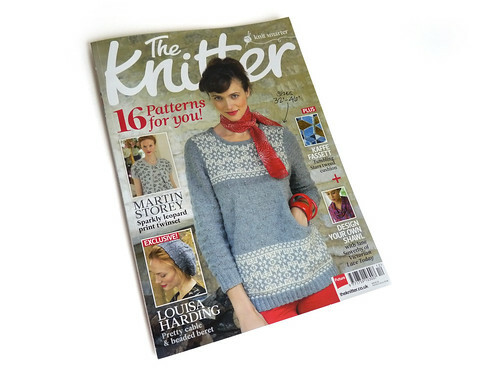 The Knitter, issue 53 is available in Newsagents and online now. Oooh! I hope you are beaming inside and out. Your online photo tutorial was awesome. The fact that it’s expanded in print is ever more fantastic. Congrats! Brilliant, keep smiling, excellent article! Congrats, and happy new year! How fantastic for you! Your tutorials were very helpful. I use your tutorial all the time; not with the same results but it’s my go-to! Thank you so much for sharing these ideas on how we can help because I really want to in my own way. Great article. I hope many will be more encouraged by this to help others.